This old bread oven has been restored and converted into a cottage for 5 people, you will spend a weekend or a week or more in Orne (Normandy), in a very greenery environment. 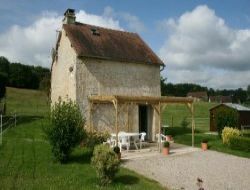 Holiday cottage in the borders of Perche and of the Pays d'Ouche in a greenery, tranquillity and rest environment. 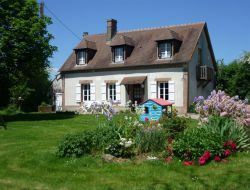 Gite for 6 persons with reception "baby", big enclosed garden and accepted animals. Located in the Pays d'Auge Ornais de Argentan, Le Haras de Ste Eugenie offer a group house with a capacity of 12 to 60 people. 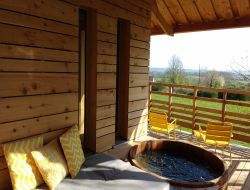 In the natural reserve of the Perche, on 5 hectares of meadow, in the edge of a wood, the perched hut in the trees, opens on a vast view which carries up to the woody hills of the forest. The hut is any comfort, it is isolated, heated, has a bathroom and a lounge. Peace and relaxation in the nature. 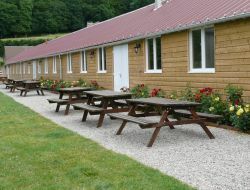 Unusual stay in Normandy, here you can sleep in a perched hut close to the farm, surrounded by the small animals, or by dominating the lands of the biological farm. The region of the Perche, famous for the quality of its trees and the variety of its essences is the ideal place for a natural stay at only 1h30 from Paris. 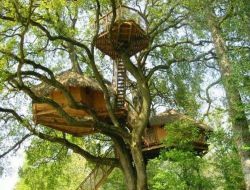 Ideal to gather its tribe, the extraordinary hut " Crazy Oak " can welcome up to 9 people.